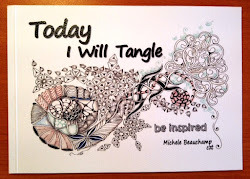 A bonus to the Art of Zentangle is recycling tangles. 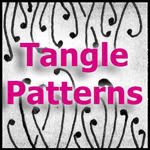 Each tangle has a unique way of looking revitalised and re-vamped. I never get tired of re-using verdigogh, purk or poke leaf. The repetition of tripoli and mooka sends me off on a whirl of memories gathered from tiles past. 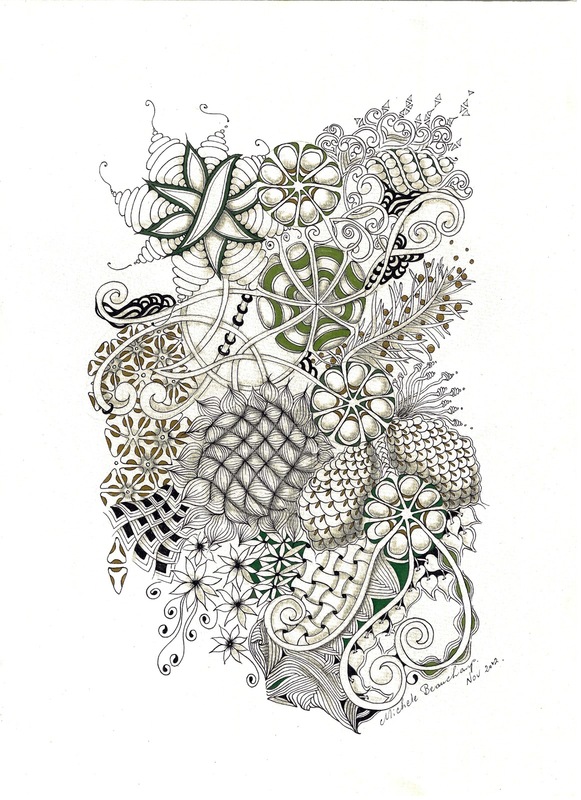 Add a little zinger with old favourites and a few shades of green for an environmental friendly ZIA. Beautiful ZIA with lovely details! I am in love with this one! Beautiful, delicate and you've used my favourite colour!! Perfect! Again a stunning ZIA - love it! A Fishy Tail or Tale!